When targeting your core audience it is always good to start locally, the more specific you can get with your target audience, the easier time you will have marketing. When you have a target audience in mind this enables you to focus more on your core strategies. If you try and reach out to the whole world, you will probably fail because your attempts are being scattered around and are too general. Make sure that you keep your website clean, good looking and simple to navigate. When someone visits your website you don’t want them to come out of the experience feeling confused or overwhelmed. 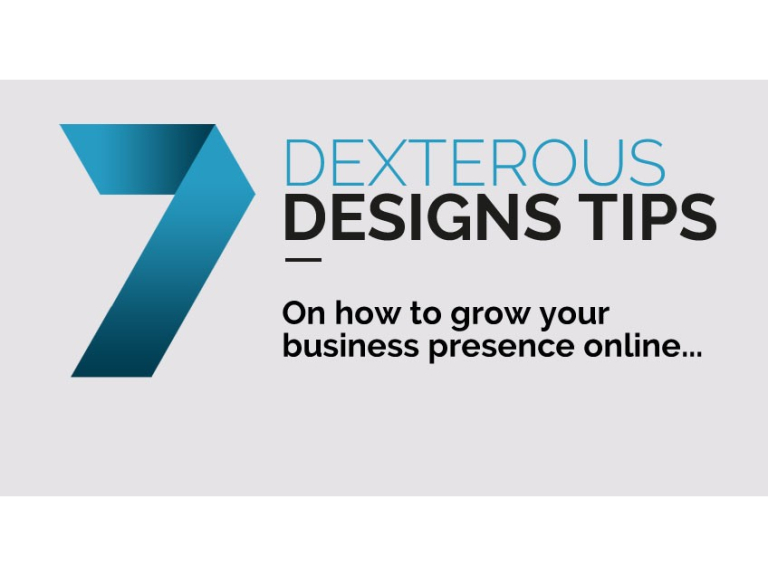 At Dexterous Designs we offer visually appealing websites at a very affordable price. If you are interested in a new website, or need some advice on one that you have, feel free to contact us on info@dexterous-designs.co.uk or call 01823 270000. It is also important to keep your business proposition simple. You want to start off by finding out about the problems your target audience is encountering, then create an option for them to resolve these issues. You can keep doing this over and over when new issues occur. This will help you create a good product base and a solid foundation for your business offering. One of the most important aspects of a business is innovation. When you are copying another business, your customers will pick up on this and go for the company you are copying from instead. This is because they will never get to know the real you; you can still use a similar framework, just make sure your business isn’t a clone. Build a business that is your business, or improve upon what someone else is doing and communicate your USP’s (unique selling points). You may want to help out as many people as possible for a low price because you feel bad asking for more, but remember, you have bills to pay. If you are helping someone or adding value to another person’s business you should expect to be payed a fair amount for it. You are trying to build your business and it can’t be a business if you are not making money. As you come to grips with your industry you will notice a lot of other companies charging extortionate prices for the same services / products. As long as you focus on helping your customers, your prices will be justified. Social media is extremely important to pretty much every business, to get your name and service ‘out there’, but don’t make it your number one priority. The main advice we can give here is build your business on your own platform. You want to be reminding people to sign up to your email list, check your blog posts and check out new offers. It is also better to interact with customers personally instead of over social media. This is because they will feel like they are connecting with your business. Don’t forget about it, and depending on what you are marketing, it might well be this is where you find your biggest audience, but give it the time it’s worth and do your research! If you are building a new business, search engine optimisation can help but isn’t always the answer. SEO can be a lot more helpful further down the line when your business has started to grow. If you want to read more about SEO, check out our in depth page by clicking here. Writing guest posts can be a good way of expanding your audience. A guest post is a post that you write on another website with a solid flow of visitors so that you can hopefully attract some new clients. This will also help with SEO later on as it relies heavily on external websites linking to your business page. Don’t try to overload yourself with lots of things to try and make your business progress. Pick one, and expand on it until you are at a point you are happy with, then move on to something else. If you want your business to succeed, you need to believe in it and be determined. Perseverance is what makes all businesses grow, so even if you haven’t met your deadlines or you haven’t made the progress you were hoping for, keep trying. The most important tip is to be patient. A business always takes time to build. With hard work and dedication you can grow your business and create a powerful online presence. If you have a read and try and use some or all of these strategies, we hope you will be able to grow and succeed.